The debt investment will be used by the realty major to pace up construction work at Gaur City II, part of integrated township Gaur City and Gaur City Center, a commercial hub, both being constructed at Greater Noida West. 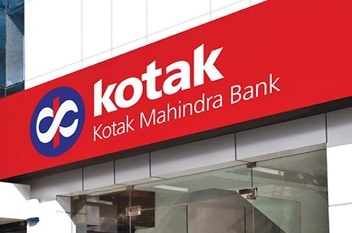 Kotak Mahindra Bank Limited through its subsidiary, Kotak Mahindra Prime Ltd., has announced debt investment of Rs500cr with Delhi based realtor firm, Gaurs Group. The debt investment will be used by the realty major to pace up construction work at Gaur City II, part of integrated township Gaur City and Gaur City Center, a commercial hub, both being constructed at Greater Noida West. Gaurs Group has been a major player in north India’s realty market with over 40,000 delivered units in last 24 years. The realtor group was in news in 2018 for gross sales of more than 10000 units in FY 2018-19. Infact in the last month of FY 18-19; March 2019, the group clocked sale of over 600 units. With such huge sales and good run, the group has earned respect and trust of not just its buyers but also amongst the banking institutions. The group had recently also raised Rs640cr from PNB housing, once again exuding the trust among the financial institutions. Gaur City Center is Pre-certified IGBC Green Building project and is a part of 101171.0 sqmt (25 Acre) commercial hub including Gaur City Mall, Multi-level parking for around 4000 cars, a hospital and already operational petrol pump. Gaur City II, is a part of 237 acres GAUR CITY, an integrated township project. Both of these projects are located in Greater Noida West. “Kotak is a respected lender in the real estate space. The deal of the magnitude has been possible due to the consistent performance delivered by the Gaurs Group in last several quarters. This deal will cut down financing costs of the group significantly.” Said Vineet Singhal, Group CFO of Gaurs group. Gaurs Group is currently developing group housing & commercial projects in Greater Noida West, Siddharth Vihar (Ghaziabad) and a 250 acre integrated township; Gaur Yamuna City, on Yamuna Expressway. The group has also announced its foray into affordable housing along with its expansion in education and hospitality.